So much to offer! Please see all pictures for additional info. 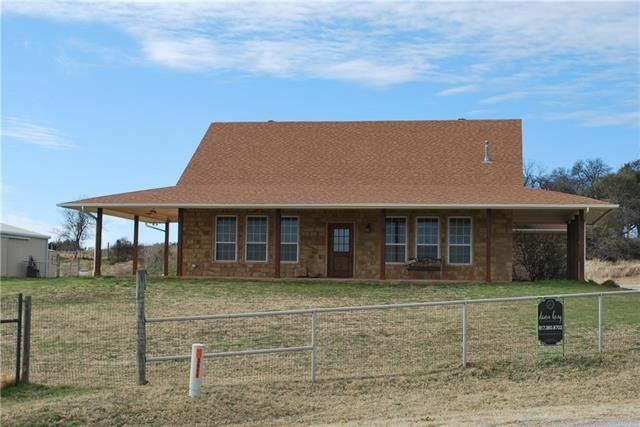 HOME: Well maintained 3 beds, 2 full baths with oversized 2 car garage on 5.0 ACRES. Home is well insulated with low electric bills. Great rooms sizes with large walk in closets. Open Kitchen, Dining and Living areas with log walls. Stone wall and platform for Harmon wood pellet stove. Library has a built in desk, cabinets, shelving. AG EXEMPT. BARN: 4 stalls, chicken coop, tack room, hay storage. PASTURE: former coastal hay field, never overgrazed. Frost free water faucets to lower pasture. PERFECT PERIMETER FENCE, gated pasture fences, all dog proof. Peach trees. Organic garden. Well and Septic. 8' wide COVERED PORCHES. INCREDIBLE VIEWS! Directions: From W'ford Courthouse: travel north on Main St (FM 51) to Rick Williamson (go left at light), turn right on Zion Hill Rd. Approximately 2.25 miles to Adair and the Hills Of Monticello. Turn left on Bart Allen, right on Ethan Ct. Home is at the end of the cul-de-sac. Look for signs.